Rice University has been playing collegiate baseball since 1913. They are currently in Conference USA. 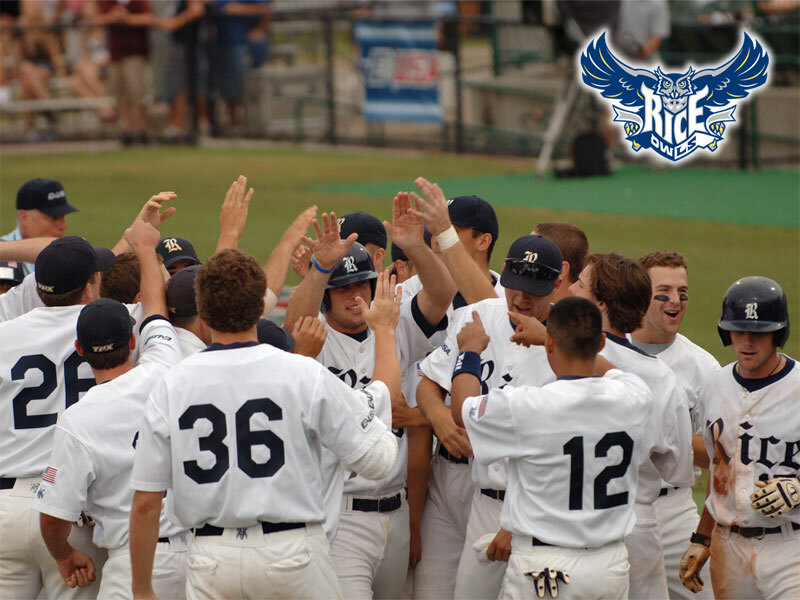 Rice baseball’s nickname is the Owls and their team colors are blue and grey. Rice plays their home games at Reckling Park in Houston, Texas, which seats 5,7000. The Owls have made the NCAA Tournament every year since 1995 and have appeared in seven College World Series during that time period, including 2003 when they won the National Championship. Rice has been coached by Wayne Graham since 1991. Rice baseball spent their first 83 years in the old Southwest conference. 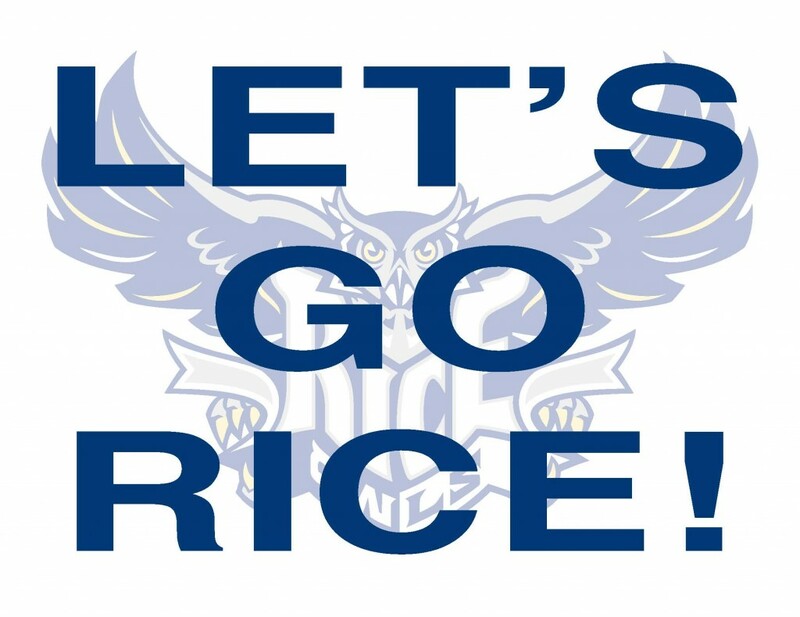 While Rice has long been an academic powerhouse its athletic department lagged far behind those of the other Southwest conferences teams like Texas, Arkansas and Texas A&M. This was especially true in baseball, where the Owls finished in the bottom half of the conference 72 times and dead last 24 times. Things did start to get a bit better under coach Dave Hall, who was at Rice between 1981 and 1991. Hall was the first Rice baseball coach to post an overall winning record and even finished second in the SWC in 1984. Prior to the 1992 season Rice hired Wayne Graham as their head coach. Before making the jump to Division 1 Graham had been the top junior college coach in the country. His influence was felt almost immediately as Rice posted an all-time best 36 and 18 record in his second season. In 1995 Rice made their first NCAA Tournament and haven’t missed one since. In 1996 they won the SWC postseason tournament, their first ever conference title, in what would the SWC conference’s final year before folding. Rice moved to the WAC in 1997 and promptly won the first of 16 straight conference regular or post-season championships. (Since 2006 they’ve been in Conference USA.) The Owls also made their first college World Series that year. Trips to the College World Series would follow in 1999 and 2002. Then, in 2003, they hit the motherlode, as a starting pitching staff of Phil Humber, Jeff Niemann and Wayne Townsend led the Owls to a CWS championship, defeating UCLA in the finals. 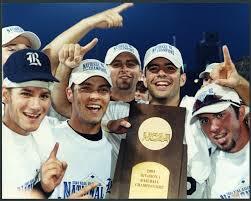 Rice was back in the College World Series in 2006, 2007 and 2008. In 2008, Baseball America rated Rice as the number one baseball program in America. Located in downtown Houston, Rice’s Reckling stadium is a popular destination for students. In 2013, Rice averaged 3522 fans a home game, 15th in Division 1. Rice’s big rivalry is with the University of Houston, and every year they play for the “Silver Cup Trophy,” which Rice has only lost once since 1998. Rice and Houston are also always two of the participants in the annual six team Houston College Classic, which takes place every year at Minute Maid Park in Houston. Major League players who went to Rice University: Eddie Dyer, Jim Asbell, Joe Wood, Frank Carswell, Dave Hilton, Mike Macha, Matt Williams, Norm Charlton, Dave Pavlas, Jose Cruz, Jr., Matt Anderson, Tim Byrdak, Lance Berkman, Mark Quinn, Bubba Crosby, Mario Ramos, David Aardsma, Phil Barzilla, Philip Humber, Marc Gwyn, Craig Stansberry, Jeff Niemann, Paul Janish, Josh Geer, Josh Rodriguez, Lance Pendleton, Joe Savery, Lucas Luetge, Brock Holt, Tony Cingrani, Anthony Rendon, Matt Langwell. 2006, 2007, 2008, 2010, 2011, 2012, 2013. College World Series appearances: 1997, 1999, 2002, 2003, 2006, 2007, 2008.